Looking for a medical-grade Foot Orthodic? 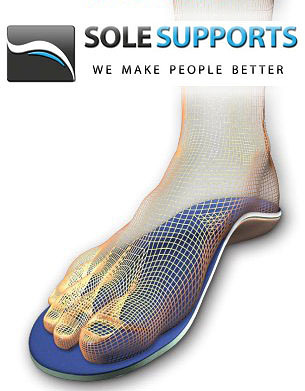 Sole Supports is a custom medical-grade foot orthotic. Pioneering a completely new paradigm for foot correction, and casting and manufacturing technology that implements it. We offer the first credible and comprehensive alternative to Neutral Position theory and methodology, the prevailing system of foot orthotic science and fabrication since the 1970s.